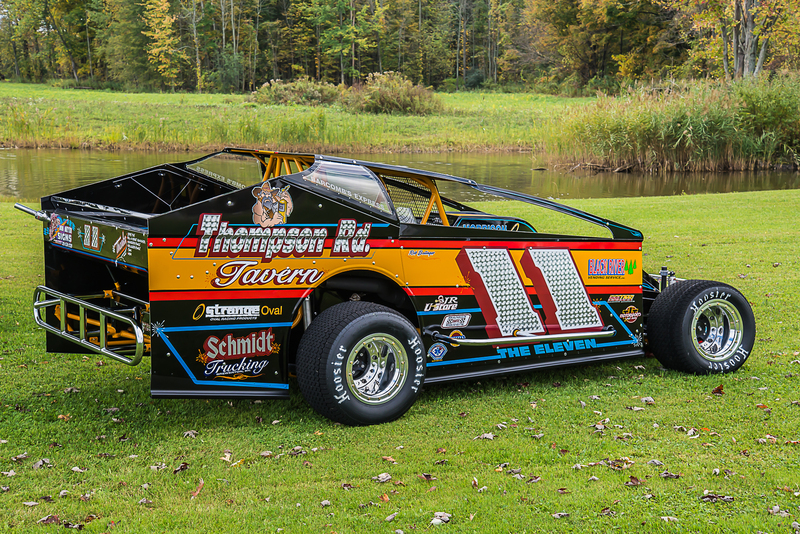 Home » Strange Oval News » Ted Barcomb to Unveil the Throw-Back Modified at Syracuse! When you hear the name Cliff Barcomb, you immediately think of the Hall of Fame Car Owner. 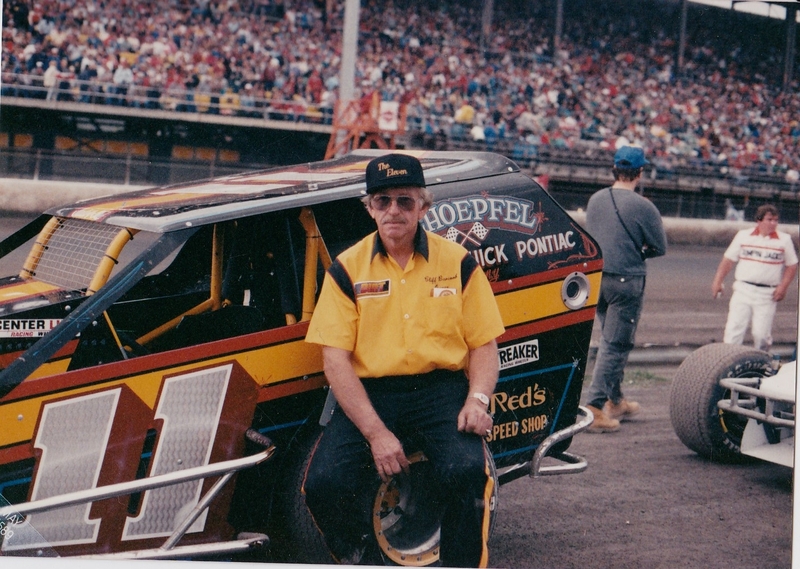 In his day, Barcomb always ran top-notch equipment, had a good stable of drivers, and a burning desire to compete! 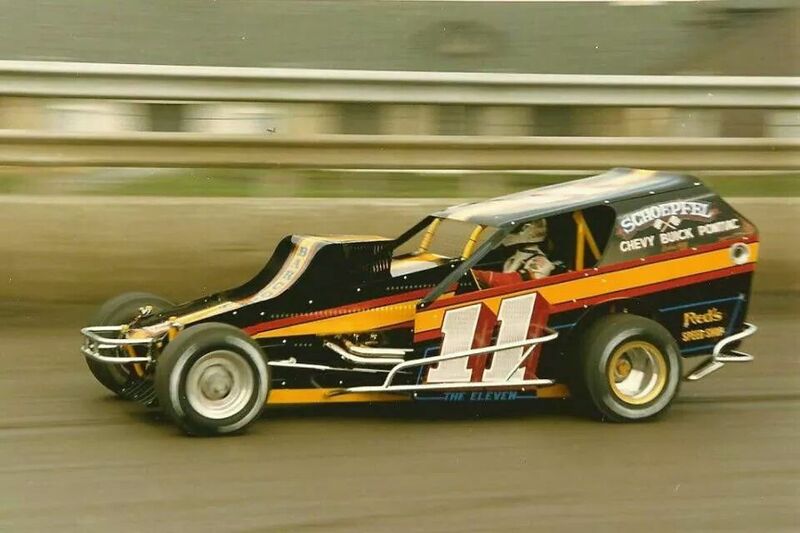 This summer Barcomb was inducted into the DIRTcar Hall of Fame as a car owner~ and this week in Syracuse you will witness the “retro-return” of the Barcomb/Coville teamed effort to the famed Moody Mile, in Syracuse, NY! Cliff’s son Ted Barcomb will return to New York with his sights set on capturing the success that had eluded his father at the renowned one-mile dirt track! Barcomb senior’s last run at Super DIRT Week was in 1985, the year Brett Hearn picked up his first of six Moody Mile victory’s. 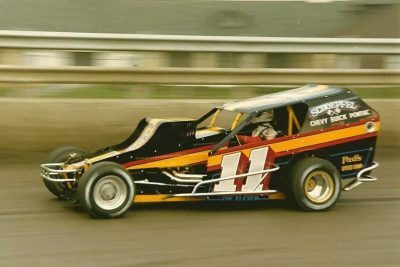 Cliff Barcomb had many good finishes with his Modifieds at Syracuse, ~including C.D. Coville’s apparent second place run in 1985 ~ until a crash ended his bid just a few laps shy of the finish. 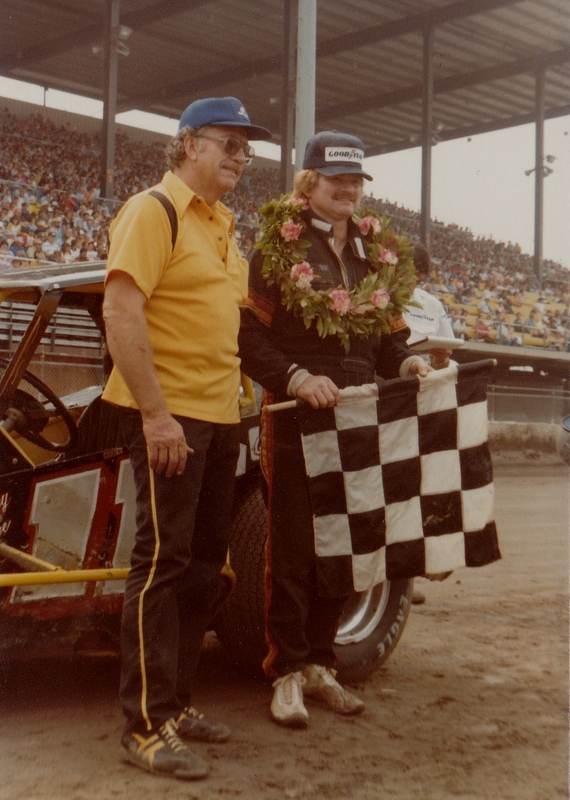 Cliff Barcomb had some great runs, but never reached Victory Lane at the Moody Mile. 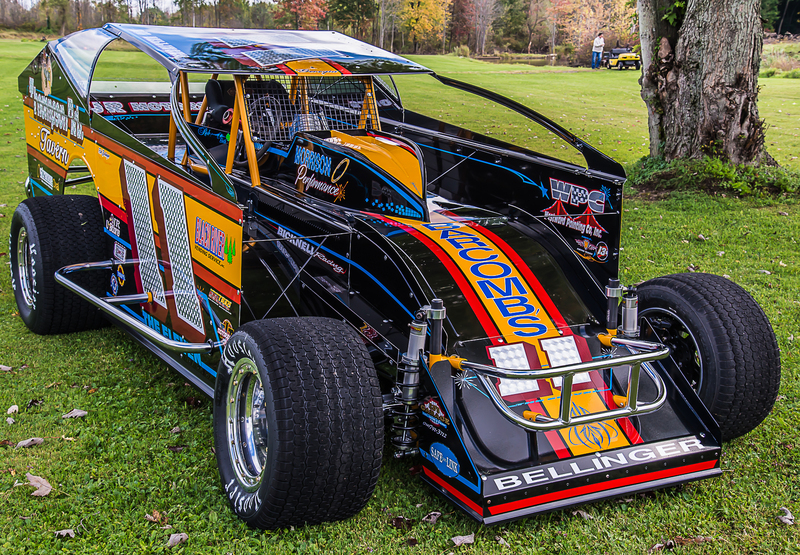 Now, his son Ted Barcomb has put together a brand new Bicknell chassis and has teamed with the young Modified hot-shoe Rob Bellinger with the hopes of conquering the Moody Mile in 2014! The Barcomb/Bellinger throw-back Bicknell Modified will be fully equipped with Strange Oval KERA axles, drive plates and torsion bars. 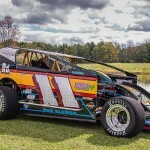 Late last year Ted Barcomb packed up his family and left North Carolina and his job at Hendrick Motorsports to return to his roots and his love for racing the Big Block Modifieds. In speaking to Ted to gather more news on the “unveiling”, he tells me a little more about how this idea came to be. This is something I have always wanted to do in memory of my father, and I thought this would be the perfect time to do it since he was inducted into the Dirt Motorsports hall of Fame this year. His color scheme is one that everyone recognizes and it will mean a lot to my family, as well as the people who have been around the sport a long time, to see them again. My father passed in 1993 so I have been thinking about this for a while. Dad achieved great success on the racetrack with drivers Alan Johnson, Pep Pepicelli, Davey Moore, C.D. 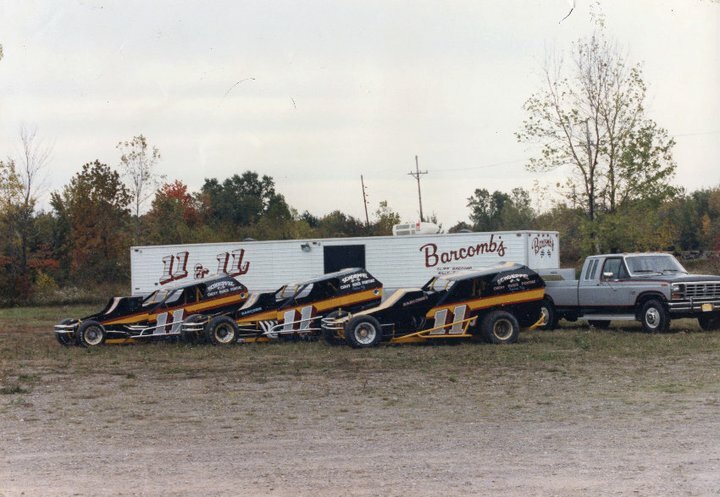 Coville, Dave Leckonby and Sammy Swindell. Rob Bellinger and I met up about 4 years ago when he traveled to North Carolina for the World Finals. I came up and helped him at Super Dirt week last year. He did a great job! I knew then he could get the job done. I moved home to NY this March and became crew chief on his car. While in NC, I spent 8 years working for Hendrick Motorsports. During that time I met a lot of people that have helped me make this dream come true. I feel like a part of me will be at peace once I do this. Syracuse is our biggest race. It is “our Daytona 500.” It has the most people watching. He loved racing there! Nothing would mean more than to have a strong run at our biggest race. 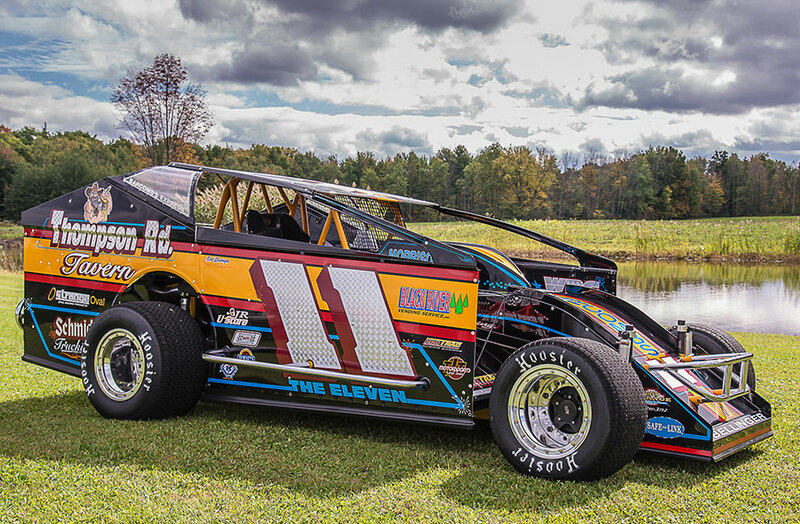 The car will have the #11, all black car with yellow and red stripes just like his cars. Just with new sponsors. We run Strange Oval Torsion bars, axles and drive flanges on Robs current car and this one for Syracuse. The car will have a Strange Oval logo on the quarter panel! Teds’ dream has become a reality due to the help and sponsorship of many . That list heading off with the Schneider and Bellinger families and including Strange Oval, Thompson Rd Tavern, Westward Painting Co., Black River Vending, JR U Store, Schmidt Trucking,Brown & Miller, Fk Rod Ends, HMS Motorsport, Castle products, TJT Motorsports, Eds Garage, Safe Link, Bangs Ambulance, Thirstys and Morrison Performance. Let’s hope Ted, Rob and the team can tackle the Moody Mile with success! All of us at Strange Oval will be there to watch them do it! Previous PostStrange Oval to bring the HEAT to Super Dirt Week XLIII! 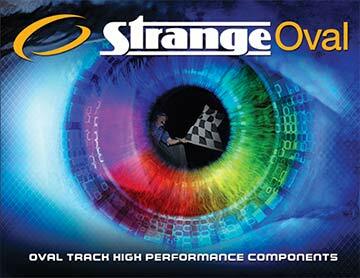 Next PostStrange Oval is ready for the 2014 PRI show!